If you have been trying to succeed for a long time with no results, the coming pages will de-mystify Internet Marketing for you. 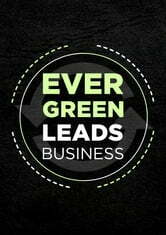 Evergreen Leads Business is meant to take the complicated stuff and break it down to simple-to-follow steps. This book is the missing puzzle that will show you how to put together the things you've purchased and transform them into a tangible, cash-generating machine. If you have your own product, or bought the rights to another product, but don't know how to get Customers, the answers are staring back at you. If you are an affiliate promoting other people's products for commissions, this book will show you how to build authority on par with the vendors you promote. The last thing you want to be right now is another 'me too' marketer. 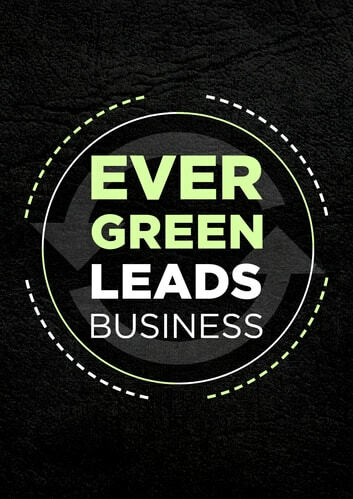 If you know how to find and generate leads, you not only solve a big part of the problem in your business but you can very well scale your business and turn yearly income into monthly income, or monthly income into weekly income. The 10 Biggest Sales & Marketing Mistakes Everyone is Making and How to Avoid them! How To Be A Business Failure! You Want To Be An Online Freelancer... Now What?